This the season of giving! Here at The Barking Lot, we like to make the holidays as special as we can for our recruits while they patiently wait for their forever families. This is your chance to play Santa’s helper and give a pup (or pups) a present. Just pick your pooch, pick your Kong, pick your stuffing, and make a $10 donation per dog. Then, revel in their joy as TBL volunteers prep your pup’s Christmas present. 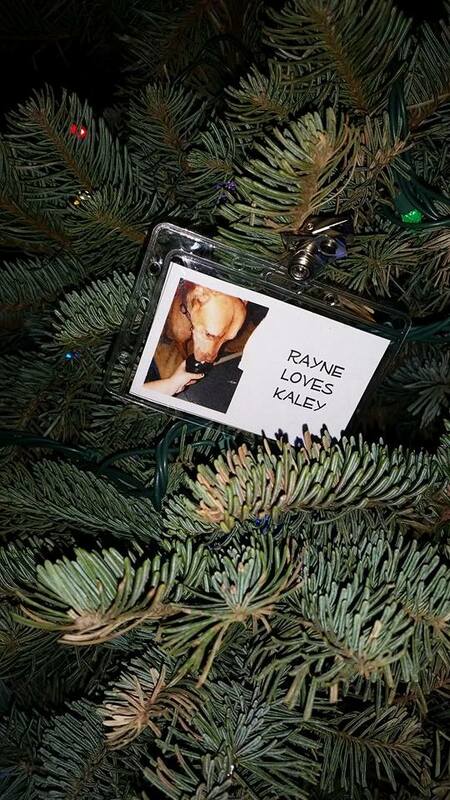 All pups will be photographed for an ornament on The Barking Lot’s office Christmas tree. 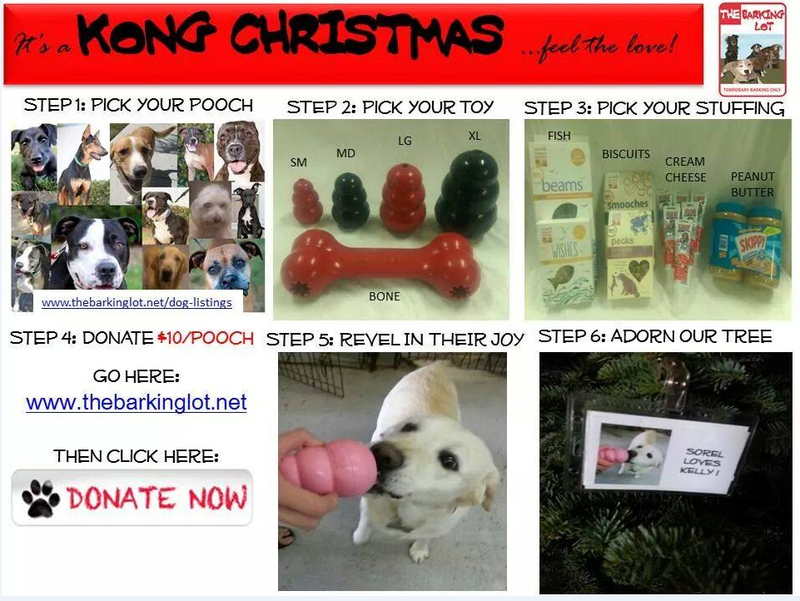 Use the form below to give the gift of Kong to one of our Temporary Barkers! Use the "donate now" button below to make your donation.